Our newest show, ResiWeek, is a little over two months old. There are several reasons for starting this program. 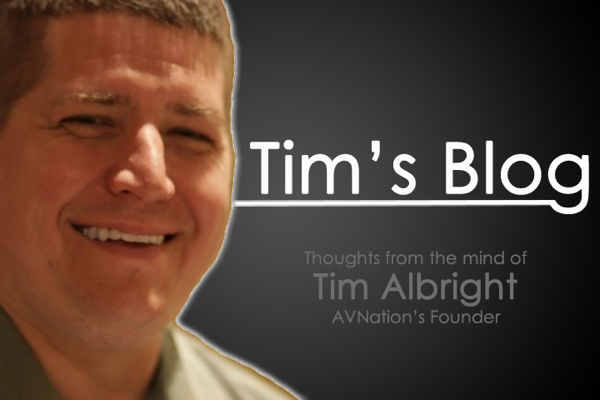 We began seeing a number of residential stories cropping up in the AVWeek news pile. They were important stories in general, but not necessarily “pro AV”. We also had begun covering CEDIA; an event that is wholly in the residential market. While doing so we have met a number of great AV professionals who have something to contribute. There have been a number of guests over the last five years who have graced our presence on AVWeek even though their wheelhouse is certainly in the residential and CE space. For these reasons and more we felt it was time to start a residential AV focused weekly news program. It has been one of the best decisions we have made. One that has been rewarding for me personally and professionally. I have learned so much in the last six months and gotten to meet some really great people in the process. It has also been a source of education on the main difference, and the vast similarities, between the residential and commercial AV markets. When it comes to the parts and pieces, the majority of what those who work in homes and those in the board rooms and classrooms deal with are the same. They all want to take as many sources in and deliver them to as many devices. Yes, there are quirky differences but we all take video, and audio, and try to create the best user experience. Then there are our customers. In commercial, we sometimes never really meet the “true” customer. They are what I refer to as the “true end-user”. This is the actual person putting their hands on our work and living with it on a daily basis. This is where residential integrators have an advantage. For the most part, this customer is who they interface with almost from the very beginning. It can be frustrating and a bit challenging but at the end of the project those dealers are pretty confident the person using their system is going to love it because they helped put it together. As the commercial AV space goes through the growing pains of fitting into IT my hope is that we will find someway to bridge this disconnect; to find a way to get in front of these “true end-users”. They are the real report card on how well we integrate a system, how flawless it is, and how user friendly the interface is, or isn’t. It’s these corporate professionals who ultimately decide if you get invited back to work on the next job. So, getting a chance to sit down with them, listen to their feedback, and help them help you create an exceptional experience would be worth the time and effort in the long run.